The retail fraud statute in Michigan allows the prosecution to add together the price of the merchandise to determine the charge. If the thefts are over the course of time from the same location, the items from the thefts on different dates can also be added together to determine the charge. Third, an allegation of Organized Retail Fraud. In most cases organized retail fraud is a theft from an open store with the intent to resell the merchandise to someone else or to a business. Felony retail fraud carries a maximum sentence of up to 5 years in prison. 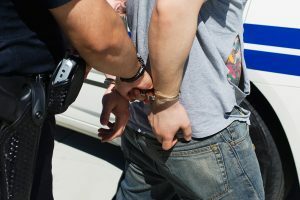 However, if the person has a prior felony record the maximum possible sentence can be enhanced by means of a habitual offender provision in Michigan law. With one prior felony, the maximum becomes 7 and a half years. With two prior felonies, the maximum becomes 10 years. With 3 or more prior felonies carries up to life in prison. For the prosecution to charge a person as a habitual offender, proper and timely notice needs to be provided to the person and/or the lawyer representing the person. Retail fraud can involve more than a theft or attempted theft of merchandise. Altering or removing the price tag from product(s) with the intent to defraud also constitute retail fraud. When appropriate, have discussions with the Judge to try to get the court to commit to a favorable sentence. Retail fraud convictions can have lifelong consequences. It can lead to deportation or inadmissibility for non citizens in some circumstances. It can lead to licensing or employment related sanctions for professionals such as doctors, nurses, lawyers, etc. It may be the cause of not getting your dream job or being accepted into the school of your choice. It may prevent foreign travel to some countries based upon visa requirements. It can lead to a loss of freedom due to incarceration or tough probation conditions. It can lead to a loss of gun rights or other privileges that we have as citizens. 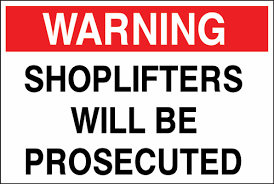 Most people who commit retail frauds or shoplift are not bad people. Sometimes retail frauds are the result of addiction, mental illness, peer pressure, greed, opportunity, or by accident. We are all human and make mistakes from time to time. The important thing is how we recover from our mistakes. A mistake should not lead to a lifetime of consequences or a lifetime of hardship. Hiring the right lawyer often makes the greatest difference. If you are facing a felony retail fraud case, hire a lawyer that is going to have your back. Do not go it alone or resign yourself to court appointed representation. 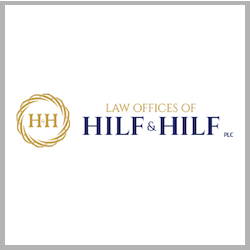 Attorney Daniel Hilf has the right combination of experience, litigation skills inside and outside the courtroom, intelligence, and compassion to help you. 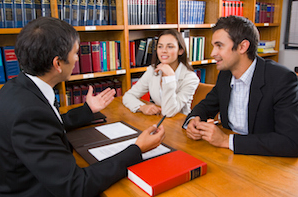 You are one step away from what might be the most important legal consultation of your life by calling 248-792-2590.